The narwhal is a strange whale that lives in the Arctic Ocean. It is known as "the unicorn sea whale," because the males have spiral tusks, like the fictional unicorn, that erupts from their upper jaw. The tusk grows up to 10" long. Scientist believes the tusk, or tooth, acts like a sensor, by detecting changes in water temperature and pressure. They have a dark bluish, spotted gray color at birth, which turns lighter with age. This strange creature does not have ears; they feel vibrations, like dolphins, using echolocation. Their favorite food is shrimp, fish, and crab. 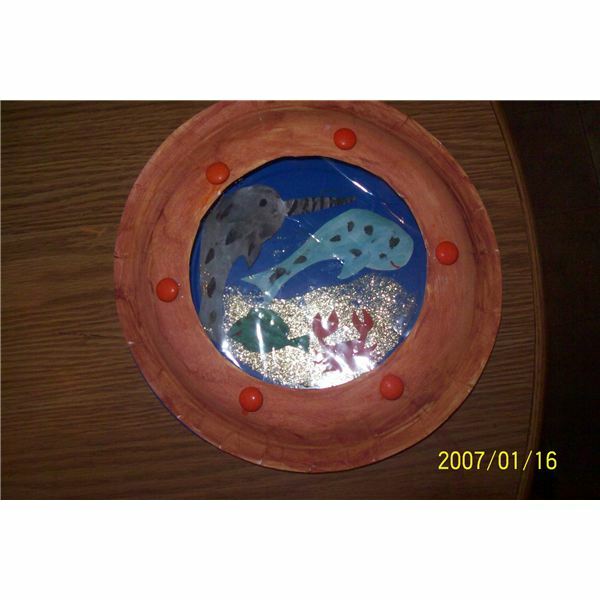 Students will learn what the narwhal looks like and what they eat, while creating this porthole craft. 1) Give each student a male and female narwhal, crab, and fish to paint with the correct colors. Male narwhals should be painted gray with black spots and spiral lines on the tusks. Students may need assistance with the spiral lines on the tusk, or the teacher can have these already painted. 2) Give students a blue paper plate. Have them spread glitter glue on the bottom to represent sand. The teacher will cut out the sea creatures from the cardstock paper after they have dried. Students will place the crab and fish in the glitter glue. Glue narwhals above the sand. 3) The teacher will cut a large circle in the second paper plate this will be the porthole. Students will paint the porthole a brass or dark orange color and glue orange M&Ms around it to represent rivets. 4) The teacher will then take clear plastic and tape on the inside of the porthole and staple the two plates together for each student. The teacher can poke two holes at the top and tie with fishing line, so the child can hang it up in their room. Children will love spying on this special whale while discovering their unique features and diet. 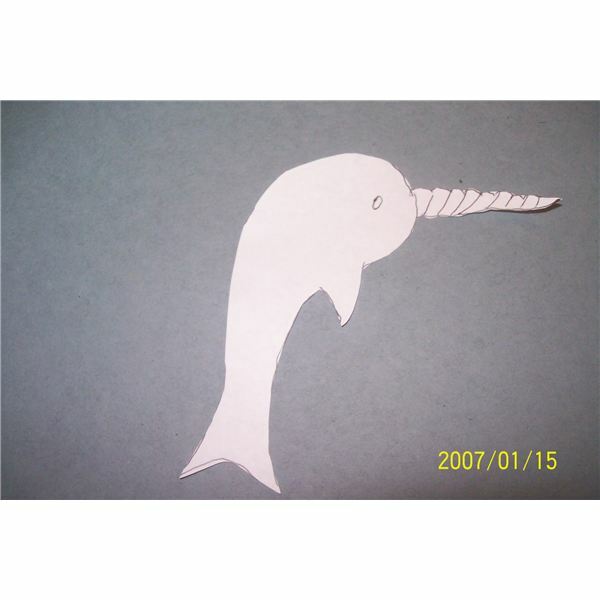 Reinforce learning about the narwhal with this fun song to use during circle time. You are the sea unicorn. so we can look at you. You are the sea unicorn! An edible creation and sun catcher craft will reinforce learning about this strange sea creature. 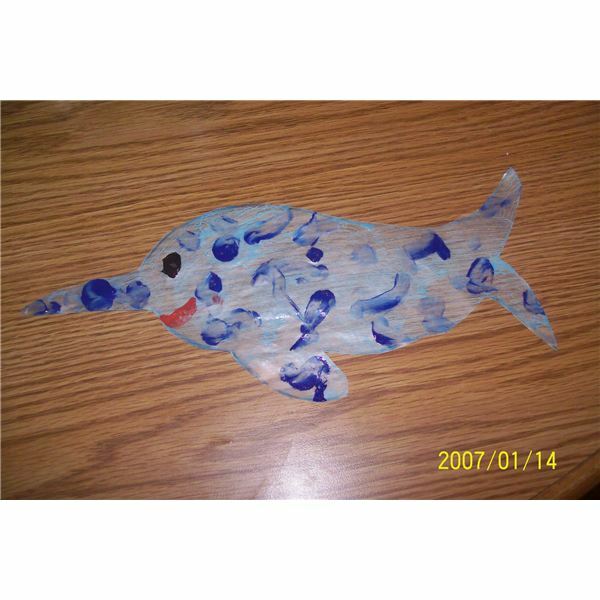 The teacher will cut a narwhal out of waxed paper and tape it to the table so children can paint it. The teacher will hand each student a piece of toast and carrot or Bugle. 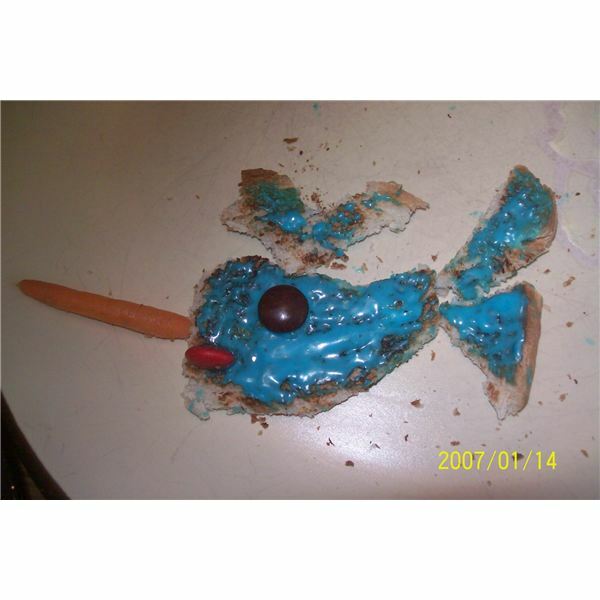 They will tear the toast to create a narwhal. Help the children when adding the blue coloring to the cream cheese and spread over toast. Add the M&Ms for eyes and mouth and the carrot or Bugle for the horn. Most children and some adults are fascinated with the mystical unicorn. The narwhal is the only known creature to have a horn like a unicorn’s, which makes it even more interesting. Making crafts and singing songs about this magnificent creature will help children learn about this mysterious creature of the sea.